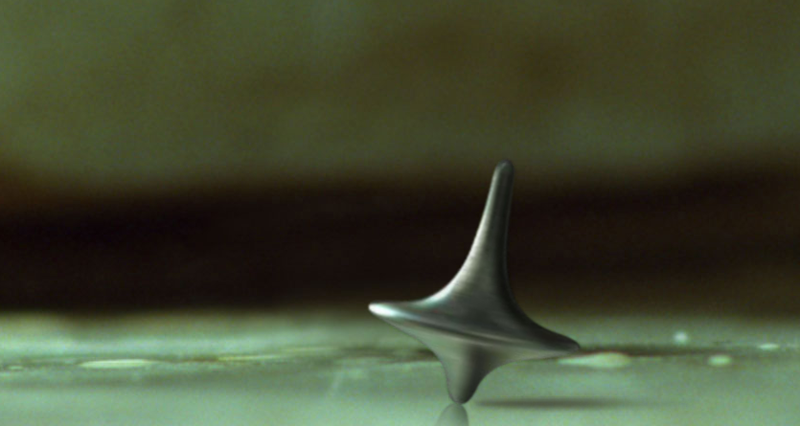 Here’s a great infographic for Inception that actually manages to explain the movie’s multiple layers. It does so visually, and with a geometrically impossible object – which is the in-joke, of course. The film spends so much time establishing the rules of its universe, as it begins to observe some characters break those rules, the point of following them seems kinda … moot. And yet, with all the underused elements in it, and the obligatory shoot-out in act 3 – I still strongly recommend you watch it. Why? 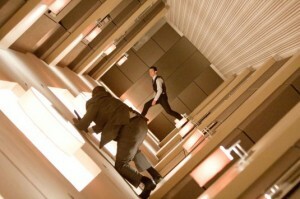 Because Inception is indeed an intelligent, thought-provoking film. It borrows heavily from previous sci-fi classics: Blade Runner, ExistenZ, Matrix, Thirteenth Floor, Solaris – and uses these ideas or techniques to take the viewer deeper, to give us layers of possibilities. It’s a mash-up (I’d say very successful) of familiar ideas, presented in a new way, with characters who seem to have unique motivations. The set-up, the exposition, while a little too long and wordy (too much dialogue in a film that can be so effective with its visuals) are all fantastic. In a world where stealing thoughts and secrets from your competitor’s mind is a relatively common crime, what if you could plant an idea in someone’s head? What if during your journey into someone’s subconscious, you could leave something behind, and let that idea evolve? This is the premise behind inception. Seems simple enough – all great things usually are – and here comes the team to do the job. Instead of the usual action archetype of ‘explosives’ expert, ‘security’ person, hot-looking ‘damsel’, we get a different crew. Christopher Nolan is trying to turn a cliche on its head. We have a ‘chemist’ – a person who concocts multiple drugs to let the team members (and the target) sleep and get to different layers of the subconscious. We also get a ‘forger’ – a person who’s really good at taking on different personalities, switching roles like a chameleon. And we get an ‘architect’ – a person who designs the world(s) of that subconscious, mixing elements of common places and our dreams. There’s a science to the first two experts. But the architect – in my opinion, is more of an artist. What do you do in a world where physics can be manupilated? Walk on ceilings, of course. Without going into too much detail – the movie does get heavily into exposition – the job begins. And here we get another glimpse at Nolan’s intentions. Some of the rules established earlier are broken. Instead of digging into 1-2 layers of the target’s mind, the team is forced to go deeper. Instead of going into one mind, because of circumstances, we have to invade another. And so on. The movie itself feels like a video game where you’re not exactly sure you’re playing it right. Some maneuvers get you to strange places and you need to back-up. But the last part of the film – and this will blow your mind, if you’re open to it – plays like a dream. Sequences change too quickly, characters seem to come out of nowhere, a unique location somehow seems familiar and cozy. This is where I almost lost it – the shoot-out was too long (obviously obligatory boom-bang budget request), and the multiple layers of the subconscious are very subjective. I enjoyed some of these elements – simply because of Psych 101, common symbols on our dreams. Other people might not have recognized it, or they have different dreams. Nolan took a big risk here, possibly losing the audience’s attention. Still, the effort to give people a vision of their own dreams – is worth the applause. Not all is good, however. The actors are not all used widely, or at all. Some – just make an appearance, and not add ANYTHING to the story. Shame about that. And as for the opening and closing shots – no spoilers, but does it really matter how the movie opens or closes, if the journey itself is such a rich experience? What’s wrong with a little ambiguity? Besides, if you manage to do so much correctly in 2hrs, a couple of weaknesses or missed opportunities is okay by me. Leonardo Di Caprio should have been the main attraction, but for me – Joseph Gordon Lewitt (and his amazing ‘weightless’ sequence, along with great wardrobe), Ellen Page (a young, inspired architect who gets to play with ‘real’ buildings), and the relentless soundtrack (Hans Zimmer, who else) were the best things about the film. Of course, the visuals are outstanding too, but I can’t say that ‘architecture is the sexiest element of this movie’. Someone else has already made that observation. The top will keep spinning as long as you want it to. Or will it? You absolutely must watch it, and maybe more than once. It’s not the movie of the year, or a decade. But it will make you think for a while, and will inspire you to take something familiar, something old, and try to give it new life or new use. In a world full of Adam Sandler films (and recycled poo-poo jokes), this is a smart film – especially if it recycles ideas with depth and meaning. In a world of endless musical and visual rip-offs (the rapper community this is called ‘sampling’, and it’s everywhere), this is a proper homage to things we all know and like from many years before. I’m gonna go watch Blade Runner and ExistenZ again – the source is always better. And in a few months, Inception is going to be on the same shelf.